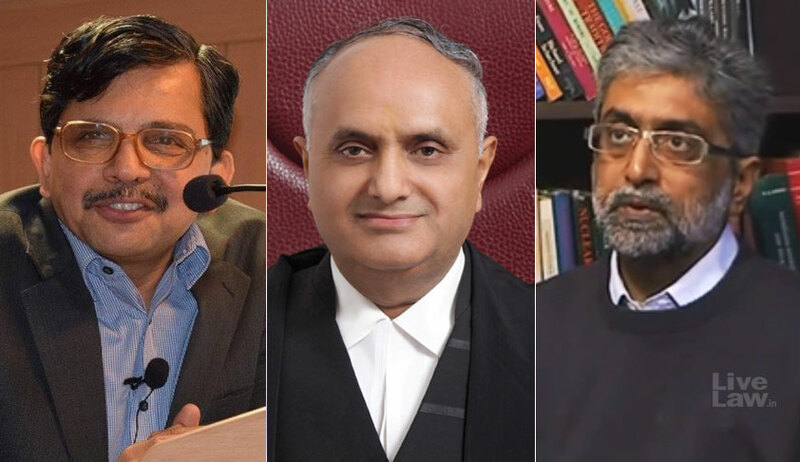 As the Supreme Court ordered house arrest for the five arrested activists Varavara Rao, Sudha Bharadwaj, Arun Fereira, Gautam Navlakha and Vernon Gonsalves, the Delhi High Court, also indicated that it would examine the legality of the transit remand order of Chief Metropolitan Magistrate while dealing with the habeas corpus petition filed by Navlakha, a rights activist. When the matter was taken up first in the morning by the bench of Justices S. Muralidhar and Vinod Goel, counsel for Gautam Navlakha, Nithya Ramakrishnan raised that the petitioner was clueless about the arrest and that they did not even know what allegations were made out against him as all the documents, including the FIR, were in Marathi. The bench adjourned the matter to 2.15 pm asking Additional Solicitor General (ASG), Aman Lekhi, appearing for the State of Maharashtra, to provide translated copies of the FIR and other documents as they all were in Marathi. When the matter came up at 2.15 pm, it was again fixed for 3.30 pm. Navlakha was arrested from his Delhi home on Tuesday by Maharashtra Police who wanted to take him to Pune in connection with a a violence at Koregaon-Bhima village that allegedly took place as a follow-out of an event ‘Elgaar Parishad’ held on December 31, 2017. Navlakha’s transit remand was also secured from Saket courts. The High Court, however, directed that Navlakha should not be taken away from Delhi till it heard the matter. “This is clearly an assault on liberals, liberal thinking and a motivated act. There is no ground for detention or restriction of movement, the petition stated, claiming it to be a violation of the “Constitutional, Fundamental and Human Rights”. “All people may not be named in the FIR. Six were named originally and 4-5 arrests were made later. They are interrelated. Here,, there is an FIR with an accusation. The police have a statutory right of investigation.” Lekhi argued. “We are at the threshold of investigation. The issue is whether there is a case made out and whether the person is liable to be arrested. No mandate has been violated. This is a legitimate act,” he submitted. Indicating that if the remand order was set aside by it, in which case, the state police would have to exercise the entire arrest procedure again, the bench stared dictating the order when at around 5.03 pm, Lekhi interjected and told the court that the Supreme Court had already stayed the transit remand order and ordered all five accused, including Gautam Navlakha, to be placed in house arrest. The court recorded the ASG’s statement and declined to continue with the proceedings further. The bench, however, listed the matter for August 30, at 2.15 pm, by which time, it said, the order of the Supreme Court shall arrive. The bench said it would continue dictating the order from where it left if there was anything to the contrary.